Trying to find a good quality compact weatherproof outdoor storage cabinet? 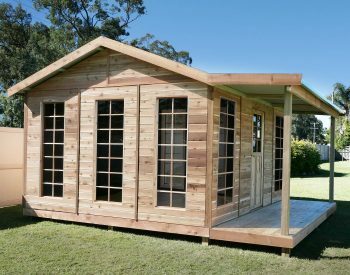 Every so often a manufacturer comes up with a product that just ticks all the boxes – and the COMPACT STORAGE SHED WITH PEGBOARD from the global manufacturer Keter is one of these. 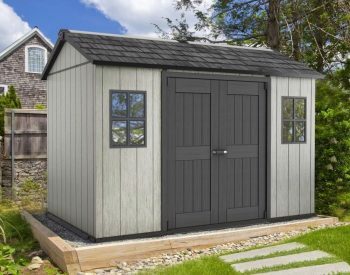 A hugely successful product internationally, the COMPACT SHED WITH PEGBOARD is an ideal synthesis of a great design, high-quality materials and excellent pricing. 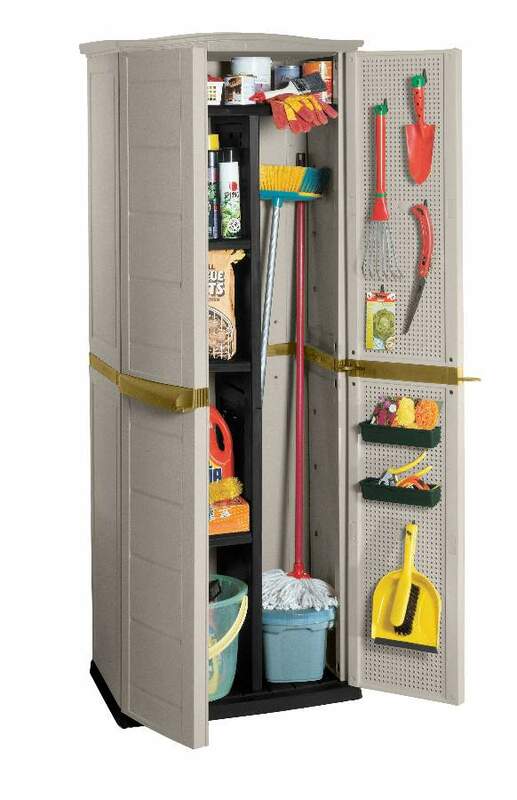 If you need a unit for storing mops and brooms as well as hand tools, buckets, cans etc, it provides a neat and tidy solution. 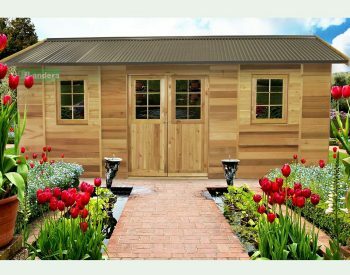 Interestingly, many people use the COMPACT SHED as a storage cabinet inside the house, although it is designed for weatherproof outside storage use. 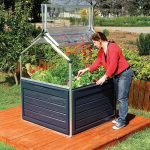 Manufactured from UV-stabilised plastic poly resin, the COMPACT SHED WITH PEGBOARD is easy to assemble and designed to take all the punishment the elements can throw at it. 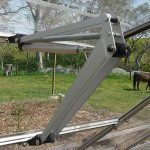 The manufacturer recommends fastening the unit to the floor and also to the wall if possible; this is not essential, but it does give added stability and security. 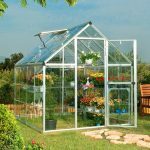 Of course, there are many other options available if the COMPACT SHED WITH PEGBOARD doesn’t offer the outside storage confiuration you need. 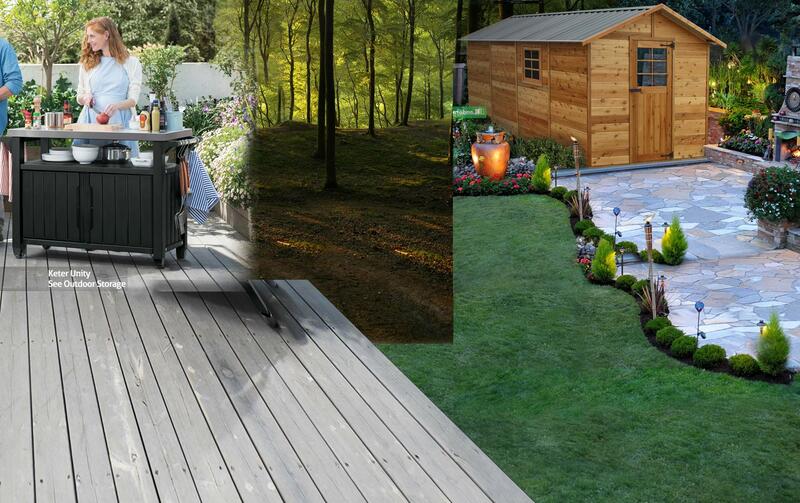 Other products from Keter such as the BIKES BINS + MORE, the STORE-IT-OUT XL and the WOODLAND 30 are designed to provide outdoor storage for more bulky items such as wheelie bins, lawn mowers and sporting equipment. And there are also a number of outdoor storage boxes and benches such as the new Keter BORNEO STORAGE BOX and the STORAGE BOX WITH SEAT. 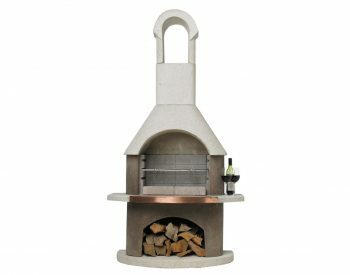 Check out Landera’s OUTDOOR STORAGE range for more details.